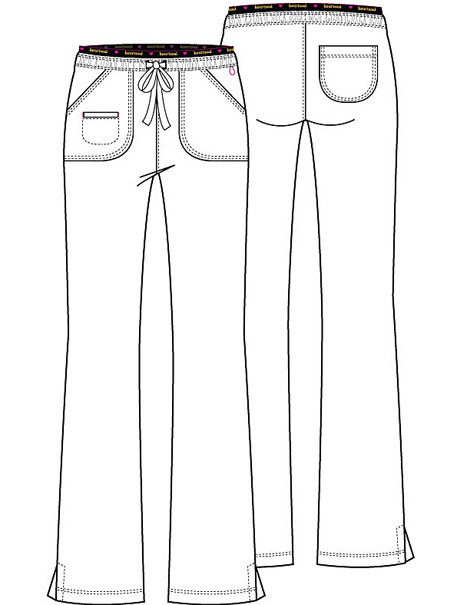 Moderate flare-leg pant for the woman who works and lives with passion. Raised Heart Soul logo elastic decorates the waistband with functional drawstring. 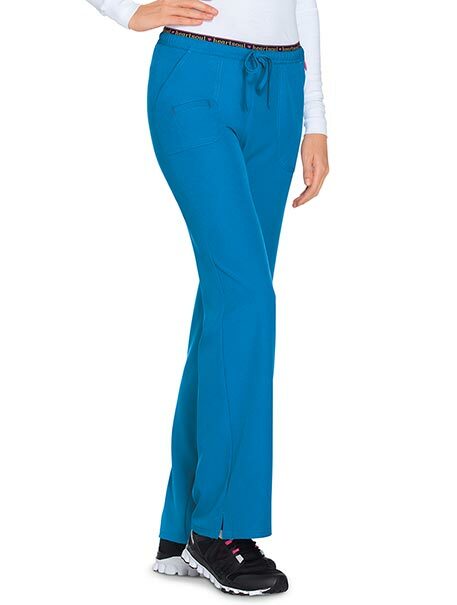 Rounded front and back patch pockets and side vents at the ankle add detail that count. Inseam: 30.5"